As the holiday break approaches, UIS students are busy preparing and taking finals and doing all the usual things that signal the last-minute push before the break. In the midst of all those commitments, UIS Music students made a special effort this last week to bring the spirit of the season to a very special person. 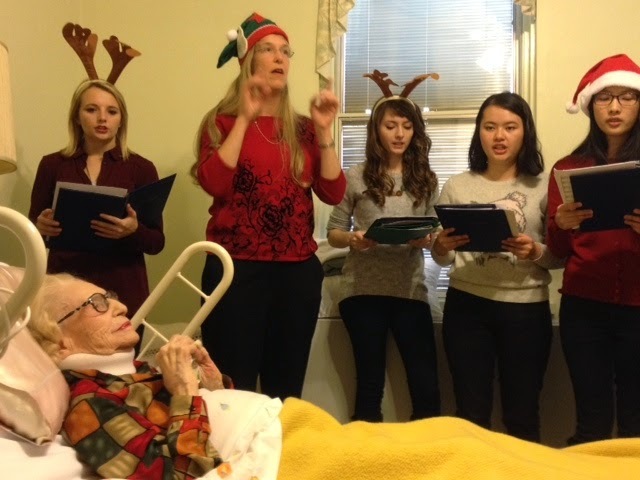 Professor Sharon Graf and students visited St. Joseph's Home in Springfield to entertain residents and to pay a special visit to our friend, Polly Roesch. Polly is a distinguished citizen of Springfield and a longtime supporter of our UIS Music program. In fact, she donated funds two years ago to renovate our music rehearsal room, which we named after her. Though she now is 104 years old, she greatly enjoyed our visit. 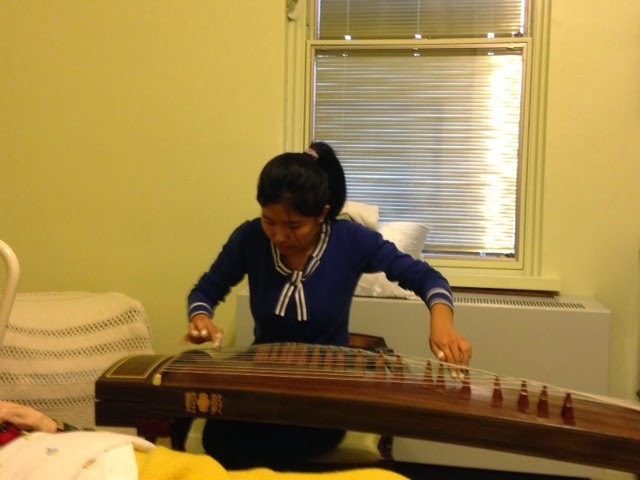 The high point was when Christina, a Chinese student, showed Polly her instrument and then played a song for her. I am so grateful for the generosity of these talented UIS students.